The following interview was prepared by Pencils for Africa’s Deputy Editor, Athena, and was then conducted by the entire Northern California-based editorial team via a Skype conversation with Professor Saki Mafundikwa in Harare, Zimbabwe. 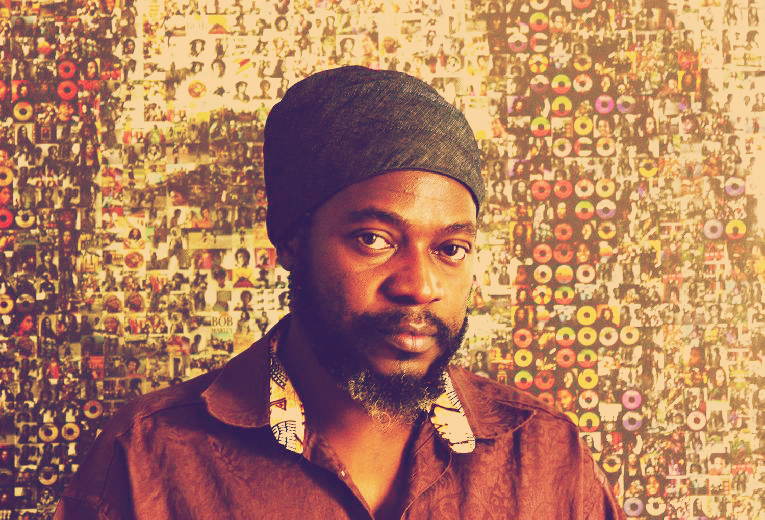 Professor Mafundikwa is Founder and Director of Ziva, the first Graphic Design and New Media school in Harare. He has advanced degrees from Yale University. You said that these symbols are replacing the writing systems in the new digital world. I see the day when we do not have to carry any money, credit cards, ID cards, including passports, divers licenses, etc. All of those cards make our wallets so bulky. I read in your book that you are a graphic designer and design educator with a special interest in typography. My mom has been working in graphic design for 25 years, so I have grown up with her influence. What do you enjoy the most about graphics? Without any doubt, I would say type. You see as a kid, I always doodled, and my doodles were always letter forms. I didn’t know that the letters I saw in books were printed by printing presses, I thought they were hand-drawn. So I set myself the goal of perfecting my letter drawing as the ones I saw in books. And so I developed a love of typography from a very young age. It is only when I came to the US in 1980 that I realized that what I had been doing for so long was called ‘graphic design’. I grew up in the yolk of Colonization, and everything we were taught about Africa was negative. They even created Tarzan to sell the idea of stupid, clueless Africans. Somehow, deep inside, I never bought into that myth. When I heard that Africans had devised writing systems it was like a eureka moment, it changed everything. I threw myself into the research, with amazing vigor and passion, I was completely consumed. This was the embodiment of all the doodling I did as a kid. I want my students to not only be the best designers they can be, but the best human beings they can be. Education is meaningless if it is for selfish reasons. Of course it is good to achieve the highest academic levels, but we can use that to better people’s life as well. We have also learned that some children in Africa cannot go to school because their parents cannot afford the price of a single pencil. Our Pencils for Africa Global Ambassador, Mr. Jackson Kaguri, was only able to attend school in Uganda because his dad broke one pencil in 5 pieces so that he and his other 4 siblings could each arrive at school with a fifth of a pencil. Otherwise, they would have been turned away. So, it is important for us to have this level of awareness. For you guys a pencil is nothing – unless you are an artist who loves to draw. A pencil is the least important of the tools in your schoolbag. Yet you are now discovering that in Africa it is the reason someone your age does not go to school. It is my wish and hope that one day, you will get the opportunity to go to Africa and meet some of the young people whose lives you have helped to transform. How did you decide to be involved with Graphics as a career?